Steven (Chicagoland, United States) on 7 May 2015 in Plant & Nature and Portfolio. Tulips spotted in the Monet Garden at the Garfield Park Conservatory. Beautiful colours and I like the selective focus. A beautiful Impressionistic quality to this image. 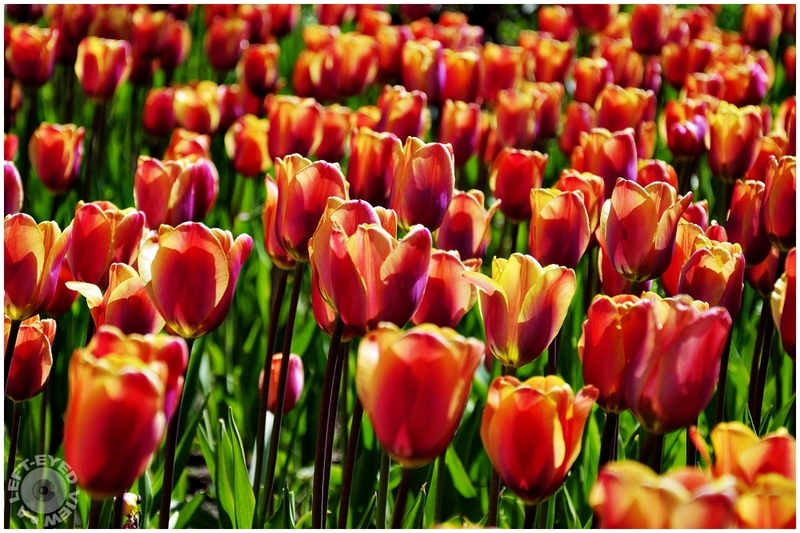 Wonderful shot of lovely tulips. Beautiful colors and the nice light. A wonderful against the light! A beautiful shot with such saturated colors. The tulips are impressive. A wonderful picture. I think the title should be Tulips! Quelles tulipes et vue quelle couleur mervielleux. That is a gorgeous shot. Tulips are such happy little things. Light & colors are superb! Love it!! Beautiful vivid colors and lovely composition. Gorgeous shot. Wow ... the light, colors and blooms are just stunning! Gorgeous shot. Love the colors. Un cadrage qui nous inonde de lumière ! Superbe !